- Clear and precise reading. - Temperature grading 1 deg. 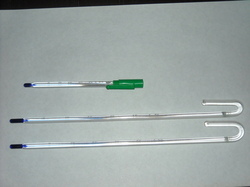 C.
- Different gap sizes to suit your tank thickness ---5, 6, 8, 10, 12, 15(mm). We also supply good quality aquarium thermostat, which accurates operates to keep the desired temperature in your aquarium in extreme cold temperatures.